Main Window The main window contains a list of all aquariums for easy access. The converter window contains over 30 common aquarium related conversions. Advanced Scheduling When creating a scheduled activity users can easily customize it to meet your desired schedule. Users can even schedule events with custom days and more. Expense Tracking Track expenses related to your aquarium. Create custom categories for your expenses and analyze expenses based on date, month, year and category. Graphing Use condition graphing to visually recognize problems and watch your tank change over time. Graphing will extrapolate not tested values and can be scaled for the finest measurements. 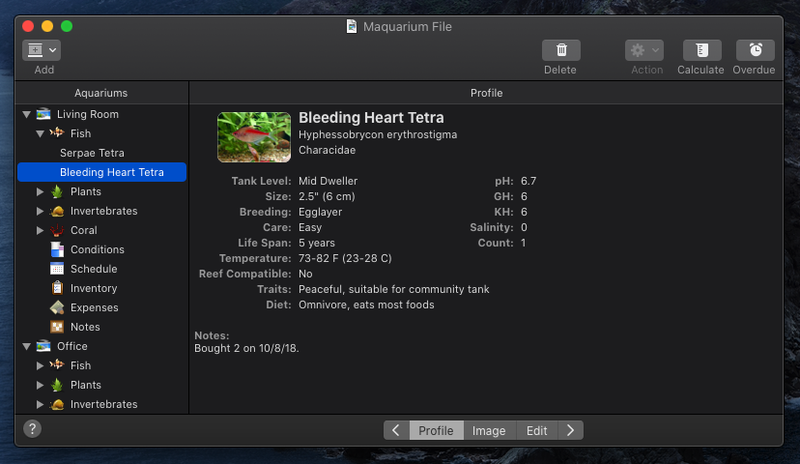 Profiles Enter plant, coral, invertebrate or fish profile information manually or search Maquarium's built-in database. 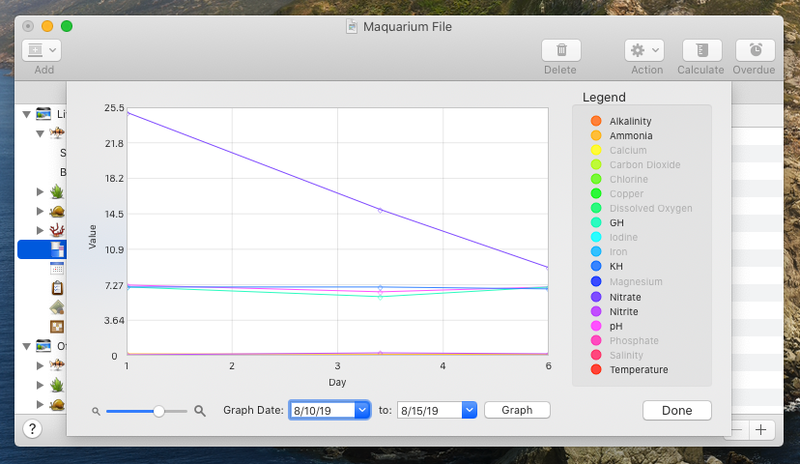 Maquarium allows users to track up to 17 chemicals and tank conditions, schedule tasks, keep notes, set warning alerts, analyze expenses and manage the inventory of multiple freshwater and saltwater aquariums. 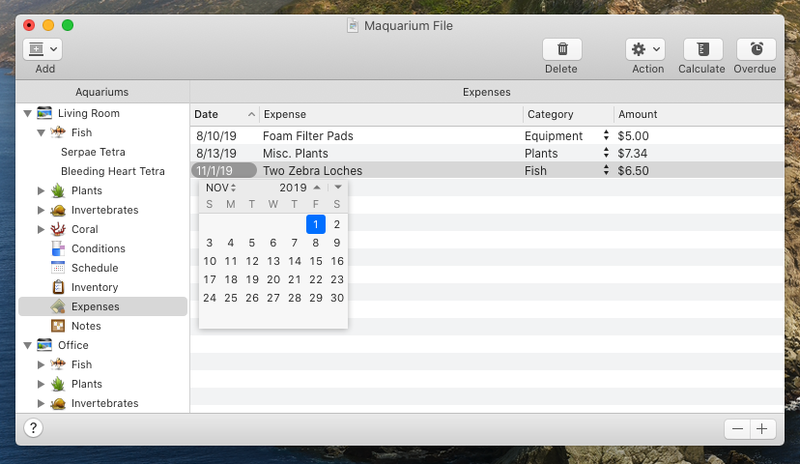 Maquarium fully supports AppleScript for use with home automation system software and x-10 devices for automatic aquarium management. Schedule recurring tasks easily and efficiently. A notification window tells the user if an activity is overdue. Maquarium features fully customizable printing of all aquarium data for easy archiving and viewing. Maquarium has an built-in profile database with hundreds of fish & plant listings allowing users to quickly find information about their fish and what water conditions they need to be happy & healthy. 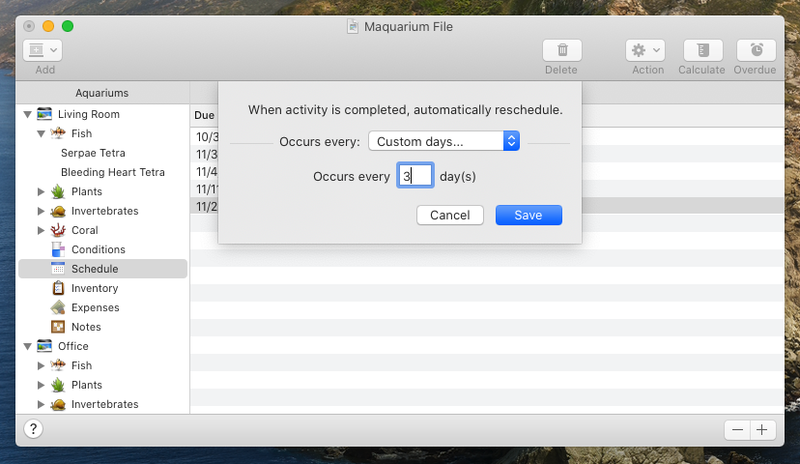 Built from the ground up in Cocoa, Maquarium supports the Mac OS X technologies you'd expect. System requirements : Mac OS 10.6 or higher.